"Gardening is cheaper than therapy and you get tomatoes." Technically we are still in summer until September 23rd, when autumn officially arrives. This month the daytime temperatures should drop 10-15 degrees and the morning lows will dip into the 40's. Don't expect a hard freeze here in the valleys but up at Lake level a hard freeze is very possible. .
Start cutting back on the watering and plan by the end of the month to be watering established plants and lawn once a week. While you are still enjoying your summer vegetable garden, know that there is still a lot of gardening time left in September and October. Fall gardening in Northern Nevada is especially gratifying and many gardeners think it is absolutely the best time to plant ornamental trees, shrubs, and fruit trees. It's time to plant onion sets and garlic for harvesting next summer. Peas, lettuce, spinach and radishes can once again be planted and enjoyed throughout October and even later. Fall bulbs such as daffodils, tulips, hyacinths and alliums will be arriving this month. The best selection of fall bulbs is in September, but wait to plant them until October because it is too warm in September. This year, let us help you plan a bulb garden for a spectacular spring display of color. Throughout the month of September all pottery, fountains, benches and outdoor statuary will be on sale. This is also the last month to redeem Bonus Bucks. Also, we will be going to our Fall and Winter hours starting on Sept. 9th. Towards the end of September we will begin the process of converting our garden shop into a Christmas winter wonderland. If you can't find gardening merchandise please ask because we have relocated it for this annual process. We had a wonderful time at our annual Art At The Greenhouse event on August 11th. The weather couldn't have been more perfect. The entertainment was spectacular. Jakki Ford, in conjunction with Carson City Jazz and Beyond was simply delightful. Randi Ide entertained us all in another location with nostalgic sounds of the 70's, 80's, and 90's. The CHS Band Boosters, Jamba Juice and Nevada Nosh food truck served up delicious eats and drinks. The quality of the work that the artists brought to this event was amazing. The public voted for their favorite artists and the winners are: First place - Kathleen Stemler, Second place - Lavonne Vasick, and Third place tie - Enzo Generalli and Julie Arenson. Join us next year, the second Saturday in August, when we will be celebrating the 16th annual Art At The Greenhouse. WOW: Any person attending the workshop will receive 15% off any landscape plants purchased during the 2019 season. Lunch will be provided on January 12 and 13. All classroom materials will be provided. During this session drip and sprinkler considerations will be further customized to each homeowner's needs. Also, lawn, soil conditions and amendments, fertilizers, plant care and watering issues will be addressed. In addition, hardscape landscaping such as pavers, patios, ponds lighting, statuary, and benches will be discussed. At the end of this session a discussion of tree and plant selection will be conducted with an onsite tour of the nursery to view various trees and shrubs. Planting doesn't end just yet, especially with the fall season coming upon us. Our trucks are still coming weekly to deliver great plants. We have an amazing selection of fall foliage and bloom plants as well as shrubs, trees, perennials, annuals and vegetables suitable for fall planting. My eight-month-old daughter, Laci, just watched me plant one of my favorite shrubs - 'Grand Bleu' Caryopteris, also known as Bluebeard. This shrub is just starting to bloom now and will grant rich purple/blue flowers throughout the fall season. Bluebeard comes in a lot of different varieties with varying shades of blue to dark blue flowers and even has a variety with gold foliage called 'Worcester Gold'. Caryopteris is drought tolerant once established and has a small, mounding habit that doesn't grow nany more then 3' X 3' tall and wide. Pair this small shrub with fall flowering perennials such as plumbago, aster, mum and 'Autumn Joy' sedum. I would also like to introduce our loyal customers to a "cool evergreen" called Hemlock. They are noted for small needles and cones. A true hemlock is a tall, pyramidal evergreen with horizontal or drooping branches. We carry a nice selection of dwarf and weeping varieties. I caution you when considering where to plant these since they need protection from afternoon sun and wind. Check out a fun variety called 'Summer Snow' as shown in the picture. This hemlock has white new growth tips that mimic a fresh dusting of snow. We also stock 'Emerald Fountain', 'Albospica', and 'Sargent Weeping'. Ask any of our sales professionals any questions you may have about our nursery stock. We are more than happy to introduce you to all the great plants that Greenhouse Garden Center has to offer. Now is the time to start to harden off trees, shrubs, flowers and lawn. Stop deadheading and pruning your roses until next April 15th. Hardening off means to gradually reduce the amount of water provided to your plants and lengthening the time between each watering. Depending on temperatures in September, cut watering back to once a week. Your lawn should be getting about 1 inch of water per week total. Keep in mind that new plants will need water more often. Before bringing your favorite geraniums (or any other plant that can be a winter houseplant) inside, treat plants with BONIDE Systemic Houseplant Insect Control to prevent indoor insect infestation. ADVANTAGES OF FALL PLANTING: Warm soil still holds heat from summer, so roots continue to grow. Winter air minimizes top growth, but roots continue to grow. In spring, top growth begins as root growth continues. Late spring, warm air spurs top growth. 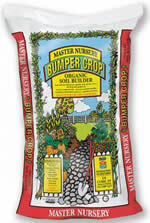 The large root system is now able to supply the maximum needs of water and nutrients for well-balanced growth. Bulbs! Bulbs! Bulbs! Nothing heralds spring with more fervor than crocus, tulips, daffodils, and hyacinths. While September is too early to plant bulbs, the best selection is now. Most tulips and daffodils perform at their best for 2 years with good fertilization. After 2 years, most begin to fail, so think about replacing those that look as though the blooms are lacking their original luster. Try a new design or color. Work in organics like Master Nursery Bumper Crop and fertilizer like Dr. Earth Bulb Food whenever possible, because Northern Nevada soils are of poor quality. Net your pond to keep out unwanted leaves. Garlic bulbs and Onion Sets arrive in September. They go fast! Purchase them in September but hold off planting until October. September 15th is the prime target date for seeding the lawn. Because of warm soil, warm water, cool nights and diminishing winds, it is the best time. The lawn will be thick enough to stop the winter mud from being tracked inside. Plant ornamental kale and cabbage, pansies, and violas for fall and winter color where summer annuals have begun to look spent. Chase the blahs away even when it snows. Mums are in full swing, so pick up some for you and a friend. If you haven't planted Cool Season Starter Vegetables, plant them now. Watch the night-time lows. An early freeze can wipe out ripening tomatoes and peppers. Beat in banana, milk, orange peel and extracts. In a separate bowl, combine flour, baking soda and salt; add to the creamed mixture just until moistened. Fold in the coconut, nuts and pineapple. Transfer to a greased 9" x 5" x 3" loaf pan. Bake at 350 degrees for 1 hour and 20 minutes or until a toothpick inserted near the center comes out clean.